Located in the heart of Useless Bay surrounded by a pristine private golf course, views of Mt. 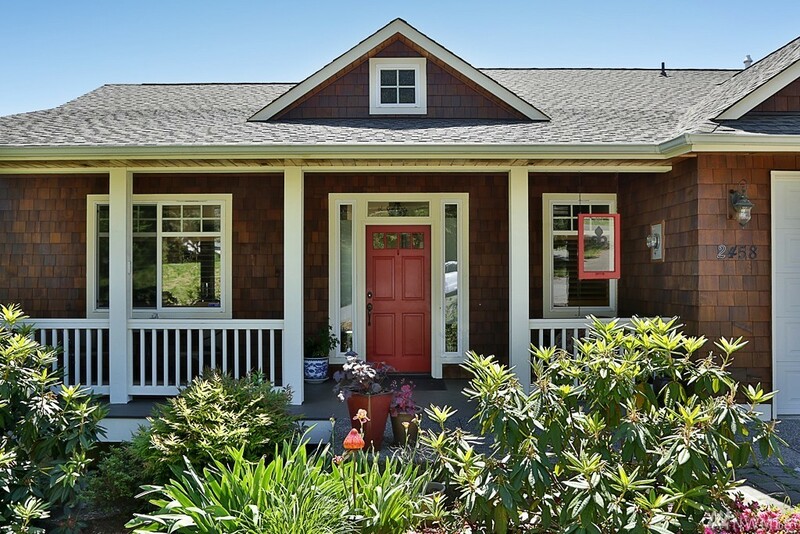 Rainier & Useless Bay sits this beautiful shingled home with the best floor plan in town. Open concept main floor living includes master & 5 piece spa bath, office/extra guest room, view deck to savor the sunsets or dine in the summer. Guests will be thrilled with their accommodations on the lower level including large family room w/cozy river rock fireplace + studio for your favorite hobbies too!